Plymouth Whalers (@PWhalers) Sold. Moving to Flint. Suggested names/logos. #OHL - Very Barrie Colts | A website covering the Barrie Colts of the OHL. Yesterday the Plymouth Whalers announced that the team has been sold at a press conference. Though the news wasn't much of a shock, it resulted in a lot of talk on Twitter. It was also said that when the team has moved they will allow a fan vote to decide what the new team name would be. We are not sure if it will be suggested names by the owners that fans will be able to vote on or if fans will be allowed to submit name ideas that could be voted on. We decided that because they are a part of the OHL family that we would try and help out! So not only did we come up with a couple suggestions for names, but we decided to throw together some logo ideas! First idea was the name "Flint Zippos". One fear is that maybe it isn't the best idea to associate the team with something used to light cigarettes (Don't smoke! It is bad, m'kay!) however maybe a team wanting to establish themselves financially would be smart to open the possibility of a big sponsor like Zippo! 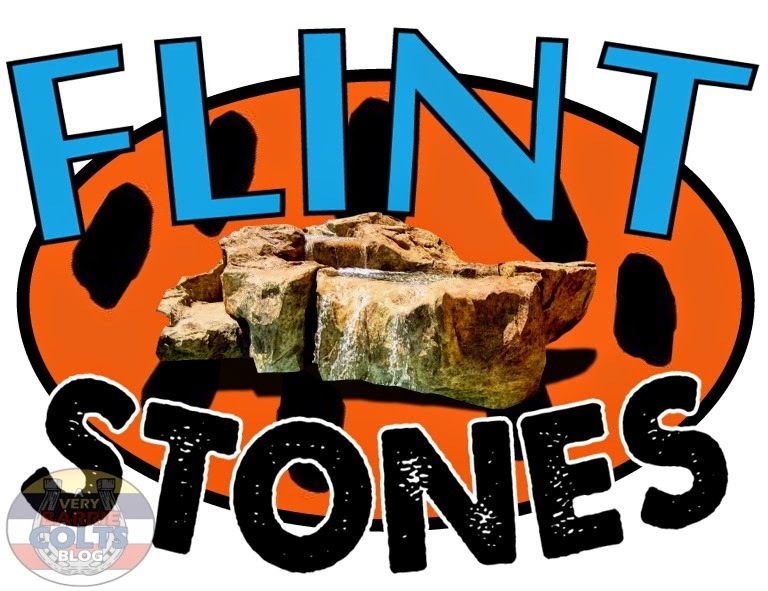 And our second idea (suggested by a good friend of the blog, @ToonsBrian from +Toons Cast) is the name "Flint Stones". A big thing lately in hockey leagues has been crazy alternate jerseys. Not long ago we saw teams use a Batman theme. Imagine the possibilities of a 'Flintstones' themed night? The arena could have a McDonalds, bring back the McRib full time and name it the Brontosaurus Burger like it was first advertised as! Also, a night where people dress up like Flintstones characters. Flint could become party town USA with that kind of partnership. 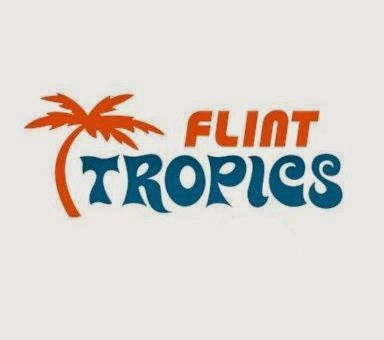 The most popular suggestion we saw on the Twitter machine was "Flint Tropics" like the basketball team name from the Will Ferrell movie 'Semi-Pro'. Personally, we think naming a team after a team in an awful movie might not be the start new owners are looking for however we suggested Flint Stones so, not sure we have a foot to stand on here. These are just a couple of ideas we had and designs we threw together for fun. What do you think would be a good idea for the new team in Flint? Let us know in the comment section, on our Twitter @VeryBarrieColts or on our Facebook Page!